The state of Mississippi offers countless opportunities for entertainment. If you’re vacationing in this area, you might be uncertain of where to go for a thrilling night out on the town. A myriad of different restaurants, bars, clubs, and entertainment venues are scattered throughout the state, each one radiating its own appeal. 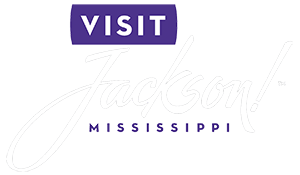 However, you’ll also find numerous casinos scattered throughout this area, particularly around the city of Jackson! Bright lights, heart-racing games, and funky music sets the ideal scene for a much-needed night of fun. Each and every one of these casinos near Jackson, MS, has their own unique and amazing qualities, making them some of the most desirable attractions around. Read all about some of the best casinos near Jackson, MS, to start planning your dream vacation today! An evening at the Waterview Casino and Hotel in Vicksburg, MS, is one you’ll always remember! They have incredible restaurants, numerous games, and an events center to provide hours upon hours of entertainment! They’ve always got new games for thrill-seeking guests to try in addition to timeless classics that everyone loves. One of the most popular casinos near Jackson, MS, Lady Luck Casino contains all of your favorite games. They’ve got over 35,000 square feet of casino space filled with all kinds of games and features for you to try. With four different places to eat and an events venue for concerts, the Lady Luck Casino Vicksburg has all the ingredients for an unforgettable night! Known as “Vicksburg’s Happy Place,” this incredible casino is a delight to visit. The Riverwalk Casino Hotel offers hundreds of slots for you to try your luck, as well as numerous table games including craps, roulette, and poker. You can even give their Wheel of Fortune a spin to see what you can score! They also have fantastic places to dine to complete your evening out on the town in Jackson, MS.
Come Stay with Us at the Fairview Inn Bed and Breakfast to Complete Your Adventure in Mississippi! After an exciting evening of entertainment in one of the many casinos near Jackson, MS, complete your getaway by staying in the finest and most comfortable accommodations! Fairview Inn is a historic bed and breakfast in Jackson, Mississippi, that offers luxurious rooms and suites, delectable dining, game room, Civil War library, a spa, and much more, all within a quiet and peaceful environment. We even have a private lounge that offers specialty cocktails for guests to enjoy. Choose from exploring the many attractions of downtown or simply enjoying the abundant comforts of our cozy inn. You’re bound to love what we have to offer in our rustic haven of Mississippi, so don’t hesitate another moment; check our availability and book your stay today!